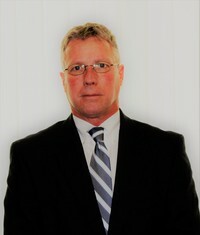 Scott Brooks began working full time in the family business in 1988 after graduating from Gupton-Jones College of Funeral Service in Atlanta, GA. 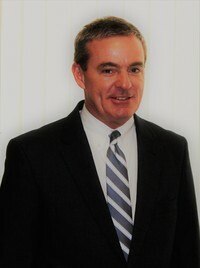 He is a 1982 graduate of West Carteret High School and a 1986 graduate of the University of North Carolina – Wilmington. He holds a Funeral Service License with the State of North Carolina. Scott, his wife, and their three children are members of St. Paul’s Episcopal Church in Beaufort where he has served two terms on the vestry. He is also a member of Franklin Masonic Lodge #109 and a charter member and past president of the Rotary Club of Morehead City – Lookout. Scott is a former board member of Friends of Hospice of Carteret County, Carteret-Craven Electric Cooperative Foundation and the Cremation Association of North Carolina. He has been a soccer coach with Seashore Soccer League since 2006. Bonnie Morrison was born and raised in Amarillo, Texas, 1615 miles due West from Carteret County and the Crystal Coast. She began her funeral service career in 1997 at Schooler Funeral Home, a family owned funeral home in Amarillo. She graduated with an Associate Degree in Applied Mortuary Science from Amarillo College and was one of the first women funeral directors and embalmers in her community at that time. Eventually, Schooler Funeral Home sold to Carriage Services, Inc. 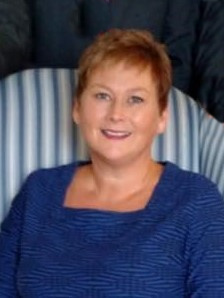 It was during this time that Bonnie was named Managing Partner for Schooler Funeral Home and begin to receive training and guidance from some of the country’s most innovative and experienced funeral care professionals. 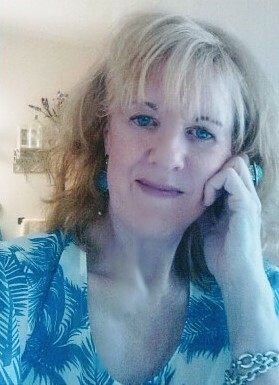 She has been fortunate to assist and host grief seminars with Dr. Alan Wolfelt, a respected grief counselor, educator, and author and she became Amarillo’s first funeral professional to become a Certified Celebrant. In 2017, after twenty years at Schooler Funeral Home, she and her husband Jim, were ready for a change. With children and grandchildren healthy and settled they decided to embark on a new adventure in North Carolina when the opportunity presented itself. So with their three pups, Max, Monkey and Moose they left Texas making Morehead City and the beautiful Crystal Coast their home in August 2017. Weston Porter is a native of Carteret County, and only child of Hugh and Pinky Porter. He married Kim Temple of Newport and together they have celebrated over thirty years of marriage and have raised two children, Thomas and Ashley. Weston is a 1985 graduate of Campbell University and began working for Brooks Funeral Home & Crematory on December 1,1996. In 1999, Weston graduated from Fayetteville Technical Community College with an Associate Degree of Funeral Science. He currently holds a Funeral Service License with the State of North Carolina and is a Certified Crematory Operator. He has been a member of St. Paul’s Episcopal Church in Beaufort since 1970. In his spare time, Weston enjoys spending time with his family, loves to surf, hike and paint. A native of Beaufort, began his employment with Brooks Funeral Home & Crematory in February 2015. He is a graduate of East Carolina University with a degree in business administration. Hobson is employed as a bookkeeper and funeral assistant. He is a member of First Free Will Baptist Church in Beaufort. Hobson has two grown children, a son who lives in Beaufort and a daughter who resides in Wilmington. He and his wife enjoy boating and fishing along the beautiful beaches of the Crystal Coast. Phyllicia was born and raised in a small town in Upstate NY, just outside of Cooperstown, which is known for the Baseball Hall of Fame and Double Day Field. At age 20, she moved to Tampa, Fl where she spent 5 years before returning home to NY and attending school at Hudson Valley Community College. She graduated with special honors in embalming, obtaining her degree in Mortuary Science. Phyllicia made the move to NC in December of 2014 and started her career as a funeral director, embalmer, and crematory operator at Cotten Funeral Home in New Bern, NC where she spent three years. She joined our team here at Brooks Funeral Home in April 2018. She carries a positive, fun loving attitude to make someone smile or laugh every day. She thoroughly enjoys working with families and building lasting relationships with those we serve. Richard A. "Rick" Harmon is a native of New England and a resident of Harkers Island. He has been living in Carteret County since 1993 and began employment at the funeral home in 2014. He works full time at Carteret Healthcare but serves as a funeral assistant when needed. He enjoys scuba diving and spending time with his daughter. I was born and raised in Kircubbin, Ireland. I now live in Gloucester, NC. My happy time is shared between my family, my fur baby Darby, and my Graham Memorial Pentecostal Church Family. My ministry there is costume designer for plays and serving in any compactly needed. Most importantly, God put into my life an amazing godly man, my husband James, who is my forever. I am so blessed. I also enjoy my work at Brooks Funeral Home & Crematory. Brooks Funeral Home provides an awesome, compassionate and caring environment to the families we serve.